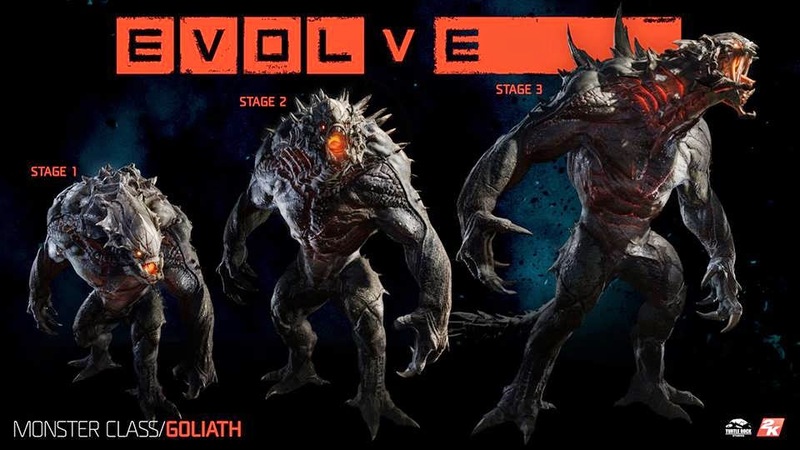 Dr Jengo's World: Detailed Evolve Trailer has me excited for tomorrow! Detailed Evolve Trailer has me excited for tomorrow! Check out this latest Evolve gameplay trailer. Almost an hour long, but it' actually the same match being shown in each character's point of view, including Goliath's. If you have no idea what this game is about.. check out the video then! It's a game we have all played before. A co-op game of 4 players. Sounds a little like Borderlands? Only this time, you won't be fighting hordes of enemies, it will be just 1 'Boss'. Oh.. and the Boss monster will be controlled by another player! No loot-hunting here, just monster-hunting. The 4 hunters will go after the monster and the monster fights to stay alive. As the title of the game suggests, the monster will attempt to evolve and become stronger. Developed by Turtle Rock Studios, the same guys who brought us Left 4 Dead, I'm quite confident that this will be a very fun game to "play-with-friends". Oh and why am I excited for tomorrow?